Home » food » misc » nicole by opi » shatter » texture coat » I am 34! I'm not really celebrating my birthday until Sunday (my day off) so today just feel like a normal day lol. I will end with a random story and pictures. The other day an asian lady came knocking on our door. I thought she was a solicitor so I didn't answer it. But 5 mins later I look outside and her car is still in our driveway so I go out there and see her breaking off our bamboo (we have black bamboo kinda growing crazy at our house). I thought it was rude to just come to someone's house and start breaking off their plants! We talked for a couple minutes but she said she cooks the bamboo shoots and asked me if I eat them. I said no, and she got in her car and left. 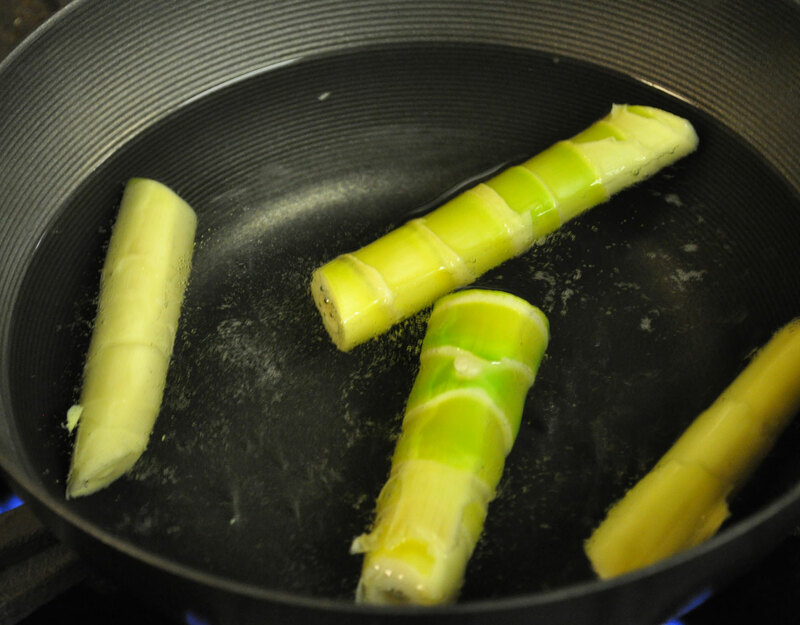 Ever since then, I couldn't stop thinking about the bamboo shoots. I see them for sale at the asian market (the really huge edible kind) and usually eat it in some asian dish. I had to know if mine were edible. Curiosity got to me so I went outside with a bag and broke off fresh shoots. I peeled off the outer layers and cut them up and boiled them for about 20 minutes. Taste testing them just boiled, they were pretty good! 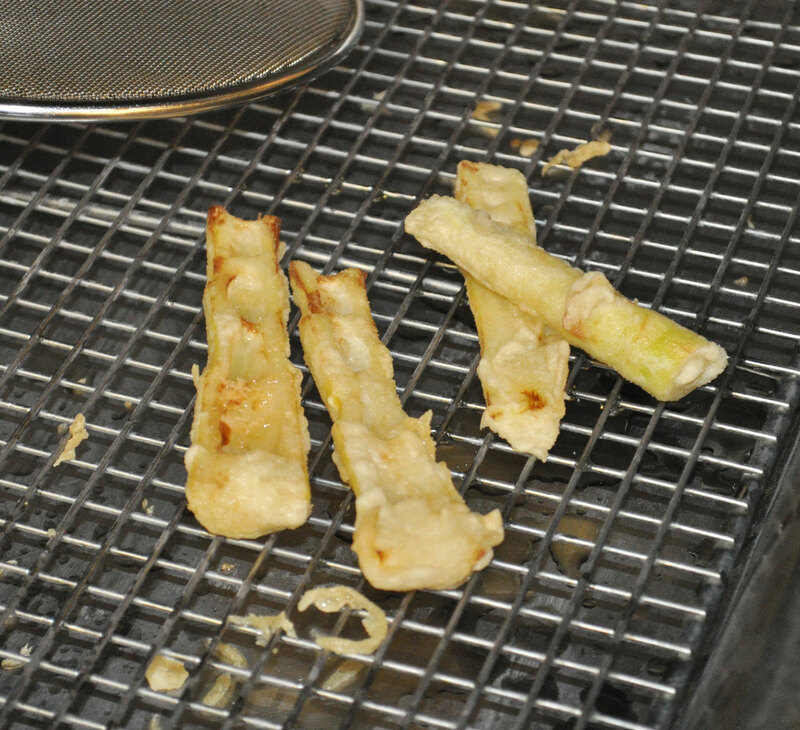 So what do you do with fresh bamboo shoots, well the easy solution was to deep fry them lol. I ate these and forgot to take any pictures except this one, terrible I know. They were really, really good! Next time I am going to stir fry with them.